Big Bang member, G-Dragon, donated a hat to a charity auction that was bidded as high as 600,000₩. E-daily hosted a charity auction event from the 11th to the 17th sponsored by Woori Financial Group and Lotte Mall. Celebrities donated various clothing and accessories to this charity. Popular idol groups and Hallyu Stars such as: Big Bang, Kara, Choi Ji Woo, Yoon Eun Hye, Kim Tae Gyoon, Park Kyung Hwan, and Kim Kwang Hyun participated in this event. Also, Korea’s national soccer team and other sports stars donated their uniforms and autographed balls. 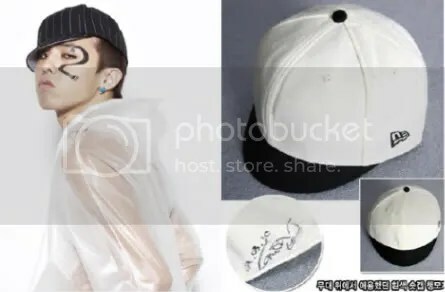 Big Bang’s G-Dragon, an everlasting idol, donated a hat that was auctioned from the 6th to the 16th of May. His hat became the best item, making a record of 610,000₩. His black and white cap was bidded for a record of 72 times. A limit was set when it was realized that most bidders for this hat were adolescents and university students. To prevent the price from going too high, the officials set a maximum bidding price of no higher than 10,000₩. Also, Kara member Han Seung Yeon greatly helped the charity as well. She donated an autographed book called ’21 People Who Move the World Oprah Winfrey’. It was auctioned for 300,000₩. All proceeds of this charity event will be donated to a children’s foundation for missing children. In order to participate in this auction, please visit (http://promotion.auction.co.kr/promotion/MD/eventview.aspx?txtMD=01C3E2293A). This event will continue to go on until the 18th of May at 10am. How much is 600₩ in dollars. ?